Truth to his millions of fans those closest to him. Son of a tragic mother and talented but flawed father. Truth defies all odds, making the world his own as he emerges from the ashes of a disadvantaged childhood to become a world renowned Rock God. Follow Truth as he overcomes adversity and falls in love with music, leading him to his true family, The Grinders. Pulled into a world of women, booze and drugs, The Grinders set their sights high and won't stop until they dominate the charts. Famous not only for his onstage performances, Truth is quite the ladies' man. That is, until he meets his beloved Rosie. Only then is the real Truth revealed. 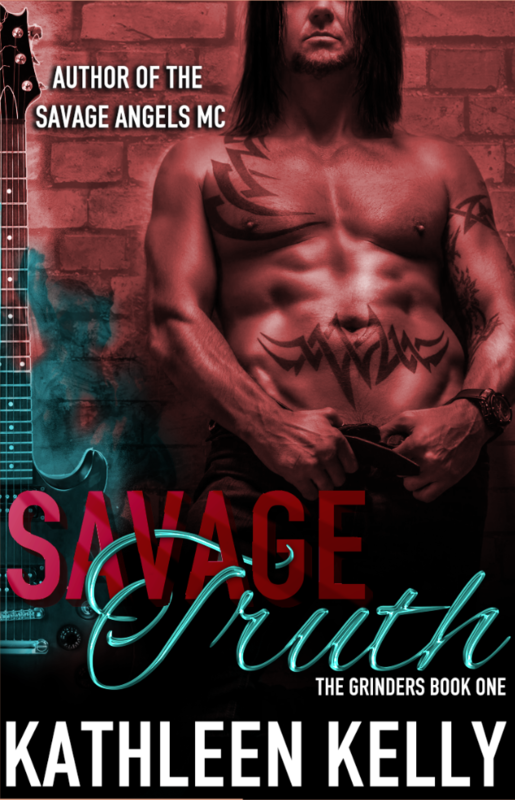 If you love the Savage Angels MC Series, you'll know who Truth is. Find out where it all began in this fast paced and empowering story from childhood to stardom. Kathleen Kelly is an Australian author. She married her childhood sweetheart and they have two furry kids.